The rapidly growing DIY Maker Movement has used Atmel-powered 3D printers such as MakerBot and RepRap for quite some time now, but it is clear that 3D printing has entered an important new stage in recent months. Although it may take some time for 3D printers to find a home in every residence, one Michigan Technological University researcher believes that personal manufacturing, much like personal computing before it, is about to enter the mainstream in a big way. As Pearce notes, open-source 3D printers for home use typically have price tags ranging from about $350 to $2,000. Pearce also emphasized that 3D printing likely heralds a new world in which consumers have many more choices – where nearly everything can be customized. 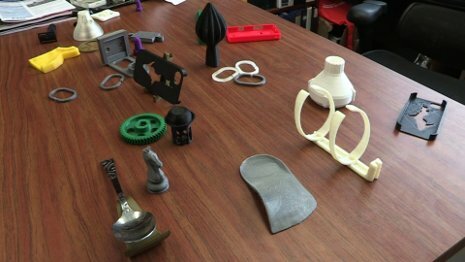 Interested in learning more about 3D printers from an academic perspective? Be sure to check out “Life-Cycle Economic Analysis of Distributed Manufacturing with Open-Source 3-D Printers,” by Joshua Pearce here. This entry was posted in Design Trends, Maker Movement and tagged 3D printer, Associate Professor Joshua Pearce, Atmel, makerBot, Michigan Technological University, RepRap on July 30, 2013 by The Atmel Team.